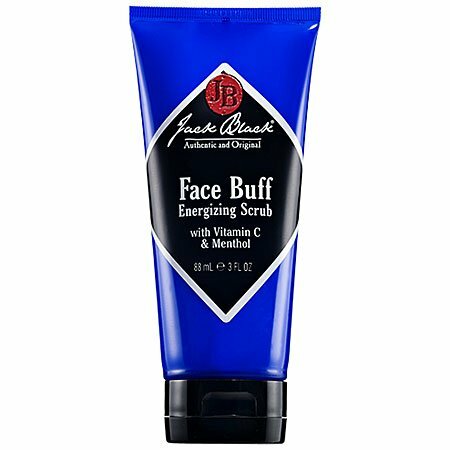 If a close, smooth shave is important to you, Jack Black Face Buff Energizing Scrub is the perfect product. Jack Black Face Buff Energizing Scrub is a high-quality pre-shave cleanser and facial scrub in one that gently exfoliates for an easier, closer shave. Made with superior ingredients, the biodegradable scrubbing particles in Jack Black Face Buff Energizing Scrub work to unclog pores, prevent ingrown hairs, and minimize shaving irritation. When used as directed, it helps to remove oil, dirt, and dead skin cells to leave a clear path for your blade. 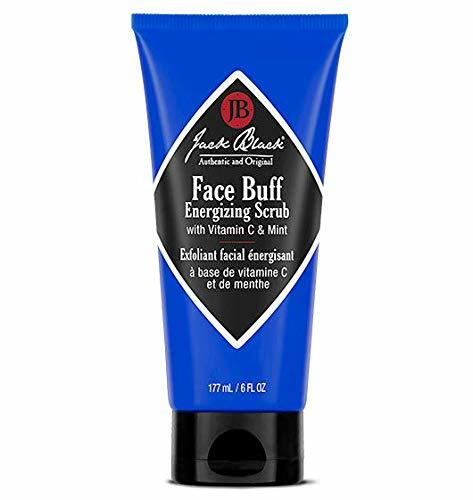 Jack Black Face Buff Energizing Scrub is packed with vitamins and other certified organic ingredients that work together to exfoliate skin, allowing for a smooth shave with reduced razor burn. Bamboo powder is a mineral rich granule that provides gentle exfoliation. Peppermint helps cool, invigorate, and refresh the skin. Licorice extract is added to soothe the skin and help reduce irritation. Vitamin C fights against free radicals, while the addition of allantoin soothes and calms skin. All Jack Black products are carefully formulated with the finest ingredients to be highly effective, yet easy to use. Every Jack Black product is dermatologist tested, paraben free, cruelty free, and free of harsh surfactants. Almost all of the products in our line are vegan, free of artificial colorants, safe for sensitive skin, and made in the USA. Our Face Buff Energizing Scrub is best used two to four times per week in the shower prior to shaving. Work a nickel-sized amount onto wet face, rubbing gently in circles. The power of the scrub is built into the product, so rubbing vigorously isn’t necessary. If reducing razor burn and maintaining clean and smooth skin is a top priority, add Jack Black Face Buff Energizing Scrub to your regimen two to four times per week.